Cancer results from a complex interaction of environmental and genetic factors that impact upon a target cell, eventually leading to uncontrolled growth, invasion of adjacent structures and metastatic dissemination. Recent advances in understanding the mechanisms of carcinogenesis have emphasized the role of molecular pathways leading to cancer, raising expectations among clinicians and the public that many of today’s common afflictions will be prevented or definitively treated in the future. 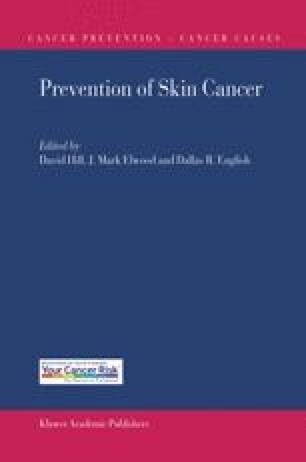 This chapter seeks to integrate the findings from the molecular and epidemiological paradigms, and in so doing, highlight salient issues of relevance to the control of skin cancer.